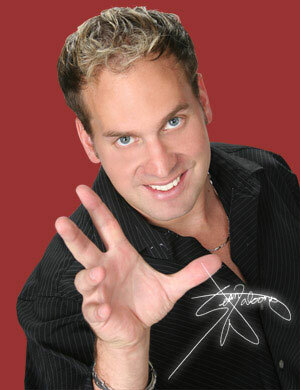 Canadian Magician Sean Watson, possesses, as once told by Sega World Theme Park in Sydney, Australia, "...quick sleight of hand, an affable personality, and great stage presentation." With over a decade-and-a-half's magical experience, it's no wonder that Sean has both amazed and confused audiences from Canada, Australia, Hong Kong, Brazil and the US. From Corporate Events and Product Launches, to Grand Stage shows such as Carnival in Brazil, his street, live on-stage, and television performances truly do appeal to everyone. Above all else, Sean Watson is an entertainer, as this glowing review from actor Kiefer Sutherland makes quite clear: "Sean, did you do that?... that's absolutely amazing!" Whether your audience requires his talents from feet away with unbelievable up-close-and-personal tricks, hilarious comedic interaction, full stage theatrics and pyrotechnics, or any combination thereof, Sean will custom-tailor the show for you and leave every single observer and participant in complete awe. Noteable Entertainment & Events is a Vancouver based booking agency, party rental, entertainment services and event production company. If you are interested in booking Sean Watson please contact us.